WhatToNameIt: "The Best Advice I ever Got"
There are so many good ppl who always recognize your efforts and support you. Inspiring work! Yep, I agree there's a lotta challenges and hell a lot of obstacles to women than men. I bow before every women who is very confident and bold enuf (mentally) to cross them all. Belief is what I love the most of all. I see a good quantity of it in women nowadays. Its a positive note. But I wish those obstacles decrease gradually in the years passing by!!! Not challenges, cos they are the key of a healthy life. and "I sometimes worry what sort of fathers these guys will make." I love this one!!! A fact too!!! I'm proud to be a man, juz coz I can respect women!!! its nice..n insprirational too..!women power! Happy hoots chinmayi ! hoping u get to the pinnacle your way, the right way !! I will say this about those who spew crap - Many don't get Social Network, Communities etc. The so called 'anonymity' those networks provide, makes them think they can say what ever they want. As much as it should disturb you when you come across one, just ignore. I've noticed that few blog editors, while posting change either a double-quote etc. to some other ascii character. Best to you, your mom and family. And regarding the profanity of men, not all are like that. And many who have cursed you are just mad at you. But still I am not up for that. They still have to learn that you are busy with your work and you too have privacy. If I wish to ask you something I would do it on Twitter, because that't better for both of us. That 'someday' is History now. You have already set an example. And in the coming years...you are set for more bigger things and you will achieve it no matter what others talk about you. You already quoted mani sir's dialogue from Guru..somewhere here or on Twitter but here it is again for the others to read - "if people have started to talk behind your back means you are rising". And for people cursing you and spewing venom.. Rajni says, "Indha Kaadhil Vaangi Adhai Andha Kaadhil Thallu". Nice to see you blog after us trip . . Success comes only with hard work. . Even a con has to work hard to do what if does . . Its nothing to be surpriced when ppl talk bad when they don't get what they want. . They send you friend request bcz they liked you . .how can they hate you if you don't accept friend request . . Lot to blame how they were raised. . Your mom is good so you are good. May be some day when you have kid even it will be good :-) . "nothing can defeat you ,unless you defeat yourselves". you are cool and collected over various issues and essay to maintain your head. "Inspite of what everyone may or may not tell you, this life is yours. You can be all that you want to be. Everything you want to be. We are at most time, everything that others want us to be, isnt it? So its not really beyond us to not be all that we want to be. Grab every opportunity. It doesnt matter if you didnt succeed. And then again, the definition of success is very fluid and is not set in stone. The dictionary's first result of success is : "the favorable or prosperous termination of attempts or endeavors". So there you go. Give your own personal definition to success. Or just dont define it at all. May it rise beyond definitions." GO AHEAD AND HAVE YOUR DAY. There was a time in our history when women were looked upon as being sacred, where their femininity was celebrated in the adoration of feminine concepts of divinity who represented nurturing and protection. Indeed, the infamous dowry system had at one time been reversed; it was the man who paid the woman's family for the sacrifice they were making in giving a daughter. How unfortunate that in trying to reform away from our superstitions, we threw out these noble ideals in favor of chauvinism. Hi Mam Wish all the best for your career. Let god shower his grace and make your wishes come true. Yes,you are a good example & you will be a better one in future. My best wishes & take care. God bless. It is clear that u hav acheivd success with ur hardwork.n requoting wat u said chinmayiji ''ONLY SCHOLARS CAN CRITICISE,THE REST JUST COMMENT''.Well i'll remember those lines forever.People comment on sum1 coz dey dnt knw wat it takes to be there.I sincerely appreciate the way u tell abt ur mom.Interesting it is.keep blogging coz ur blogs are fantabulous. "But someday I hope to stand as an example that someone who took the straightforward, righteous path can be at the pinnacle of success too" - Inspiring! I wish there are lots of people like you who can take this stand and make it happen. Chinmayi, going through one of those phases now. I am going to try and get this book, asap! Forget those people - they are always lurkers! Ignore them Chinmayi, they're just pathetic losers craving for a celebrity's attention, pay no heed to them, consider them as dogs, we don't bark at dogs,do we? Being a man, I feel very sorry to hear about the profanity from men. I believe they must be some of those "literate but not educated" idiots. I'm sure you would agree that there are men who don't belong that category. I sincerely wish that you come across a lot of such men in future who make you feel better than ever before, you certainly deserve it. You are already an inspiration for many "men" like us. Wish you all the best! As I know about you, you have achieved a lot. This is not in a single field. This will inspire to lot of younger generation, if they come across your profile. pray for you.proud of you. all the best for all your success. Take care,Take care of your mom. Wish you good luck in all your endeavours. Ignorant people make ignorant, irrational and hurtful remarks. you sound like an honest individual with a strong sense of what's right and wrong and are blessed with such great motherly love. Godspeed to you. I have seen all your acheivements till date and I know for sure that you will acheive much more in life, all in the righteous way. I share a few topics with my husband regularly and what I learn from you from twitter or "whattonameit" is definitely one. I always tell him, look how she is - a young girl. I tell him all that you are doing and all the awards and recognition you are getting and even make him watch your interviews. You are an inspiration to so many many of us. Just don't even waste your time thinking and writing about such people. 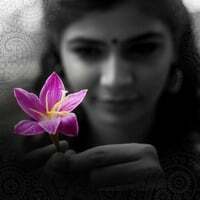 Chinmayi, M visiting ur blog after a long and am happy I did it in time to read ur latest post. It is true that there is discrimination on women at work around the world and there are barriers for women to reach the top in any field even if they are equally talented. And you're right about success- doesn't come without pain. Amazing post as usual! Do not worry abt the profanity from those stupid ppl. You are a great inspiration to many youngsters esp women already. Just be who you are and am sure you'll go places! I feel what you mean. Even if women work their way up, there will always be a shackle in the disguise of culture, the preservation of which is almost always conveniently the burden of women. JIA YOU!!! GAMBATTE!!! MEOW POWER! as u can see there is more men here commenting and praising u.. than woman..
so atleast it proves not all men are bad..
i agree woman go through a lot more than men... but its not easy ride for men too.. its hard both ways. just should keep moving forward no matter what others say. Dear chinnu mam,i dn't have anything 2 say/give to you except my heartfelt prayers and wishes.Take care you and ur mother as well.Nallathu varatte, nallathu mathram varatte..
see me like ur elder sister..i have been following u since ur first song and have seen ur growth..u have got great talent and i have always wondered abt ur multifaceted skills like singing,dubbing,hosting shows,rj etc.above all u have proved to be a successful entrepreneur..success is not at all easy and especially as a woman to reach this level in ur career,how much difficult times u might have undergone.even i have seen people have the attitude to comment watever they want against celebrities.